How do you redirect users after a successful login? 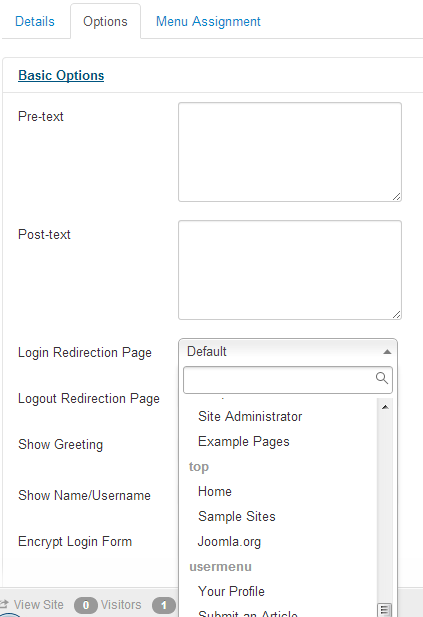 The login redirection page is selected from the drop down choices next to the Login Redirection Page item. From the screenshots you can see the choices of redirection pages are paired to the established menu items under each menu. 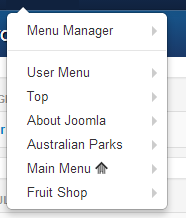 For example, the top menu has the menu items, Home, Sample Sites and Joomla.org as choices. The menus items are grouped by the menu type(alias), Top is called top, User Menu is usermenu and so on. To redirect a user after a successful log in, select the redirection page from the list of menu links offered. Make sure that the menu item selected is a published menu item. Note: The same procedure is used for redirecting users on successful logout except you enter the page where you want to redirect successful logouts to where it says "Logout Redirection URL." Choose the Logout Redirection Page the same way you would choose the Login Redirection Page using the drop down choice of menu item. Due to a security fix on Joomla 3.4.6, the redirect url must be an internal url, it must start with index.php? and be a non-sef url. Before Joomla 3.4.6, it worked but that was due to a bug in the way Joomla validated the urls. Now that security has been applied and the urls tested correctly the above examples will fail. If you use a string returned by base64_encode in a URL as a parameter, be sure to escape it with urlencode. '+' is one of the characters used in MIME Base64. Any '+' characters in a URL parameter are converted to spaces during query string parsing. Thus, if you say "&return=" . base64_encode("http://localhost/~me"), it'll be decoded as http://localhost/[Y. The controller.php file in the com_users checks the contents of the 'return' in the JRequest object (the Joomla query access object). If it is set and in the base64 format, it base64_decode(s) it and applies that redirection. This page was last modified on 6 June 2016, at 10:46.